A national seminar/contest series and fun way for pilots looking to make the transition from a paper to paperless cockpit using an iPad as an Electronic Flight Bag (EFB). 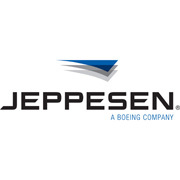 Today Jeppesen and MyGoFlight announced that Jeppesen, a part of Boeing Commercial Aviation Services, has become a sponsor of the iPad Takes Flight! EFB Challenge Edition – a seminar/contest series designed to advance the use of iPads and other tablet devices in-flight by pilots. This seminar series builds on the iPad Takes Flight! seminar series given by MYGOFLIGHT to thousands of pilots over the past three years. The seminar and contests will help pilots make the transition from paper to paperless payoff. Session leaders will go through real-world scenarios to demonstrate what it looks like to have made the transition to a paperless cockpit in a question and answer format. Questions will explore aspects of flight planning, pre-flight and in-flight decisions pilots must make in VFR and IFR situations. Pilots can follow along on their own iPad to learn and test their own skills. Cool prizes supplied by MyGoFlight and other sponsors will be won by session attendees/contestants. In addition, pilots can compete to see who is the best-of-the-best. Performance is evaluated based upon the accuracy and efficiency in which the questions were addressed. Winners can advance to regional and eventually a national contest targeted to be held during Oshkosh, 2015. MyGoFlight and IMC Chapters will deliver local and regional seminars and contests. Flight schools and military and commercial operators are also welcome to deliver seminars and contests. Interested operators should contact Charles Schneider on cschneider@mygoflight.com or call 303.364.7400 x111 to discuss access to the seminar and contest materials. Information regarding upcoming seminars and progress of the EFB Contest can be followed on http://www.mygoflight.com/ipad-takes-flight-efb-challenge-edition/ and on Facebook on www.facebook.com/EFBChallenge. iPad Takes Flight! EFB Challenge Seminar & Contest will be delivered during Oshkosh 2014. Sessions are currently set for Monday, July 28th & Wednesday, July 30th at 1pm and Friday, August 1st at 10am. All of these sessions will be held in Forum 6. An additional session on Saturday, August 2 at 2 PM in the AOPA seminar aera. Sponsors of the EFB Challenge include AOPA, Flying Magazine, IMC Clubs, Independence Aviation, Jeppesen, Lightspeed, National Association of Flight Instructors (NAFI), Redbird Flight Simulations and the Society of Aviation and Flight Educators (SAFE). If you would like to consider becoming a sponsor, please contact Charles Schneider on cschneider@mygoflight.com or call 303.364.7400 x111. MyGoFlight builds iPad gear designed for iPad use in extreme motion and conditions. MyGoFlight provides “Cockpit ReadyTM” iPad cases, mounts, flight bags and accessories that are well-made and make using the iPad in the cockpit safer, easier and more convenient. MyGoFlight’s modern flight bags are the first designed to protect the iPad and make storing and accessing gear simple. MyGoFlight products are professional, highly functional and cool. Perfect for the airplane and everyday use. For more information about Jeppesen, go to www.Jeppesen.com.